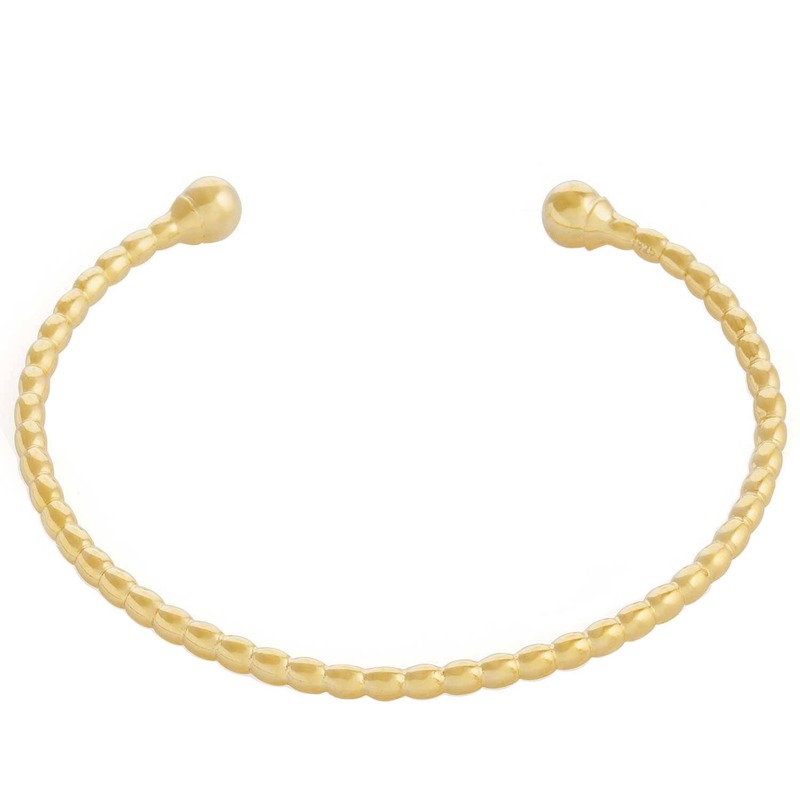 We offer the after sale service of gold plating (personalized microns) only for jewels purchased in this shop. Fashion bangle inspired by the 50s and 40s. A classic design which will be trendy forever. A must have in your jewelry box. 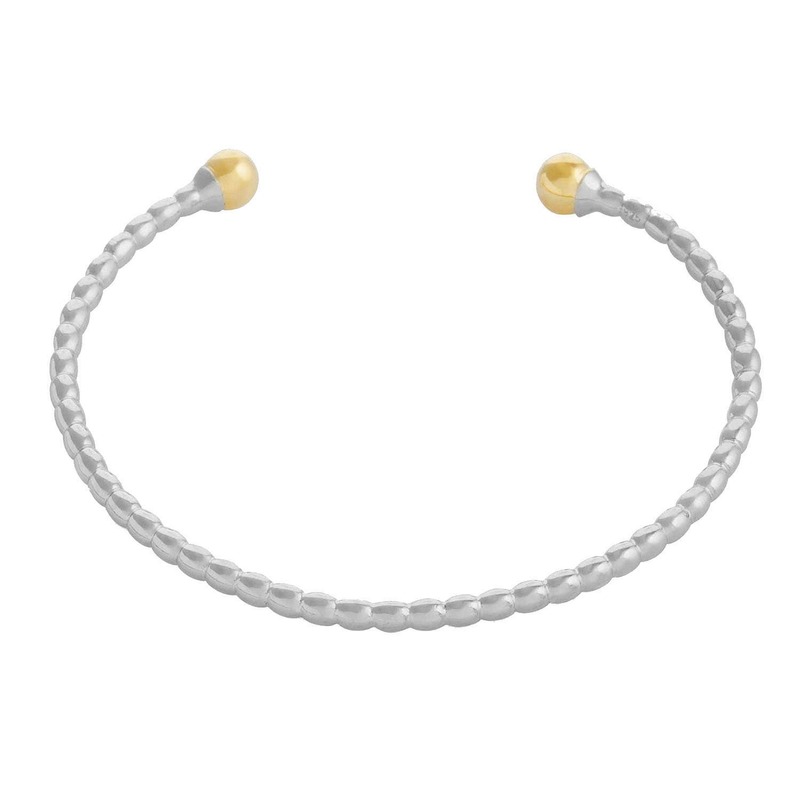 A bracelet which combines the modern and classic style mixing gold and silver. It has a wired band with a ball ending.